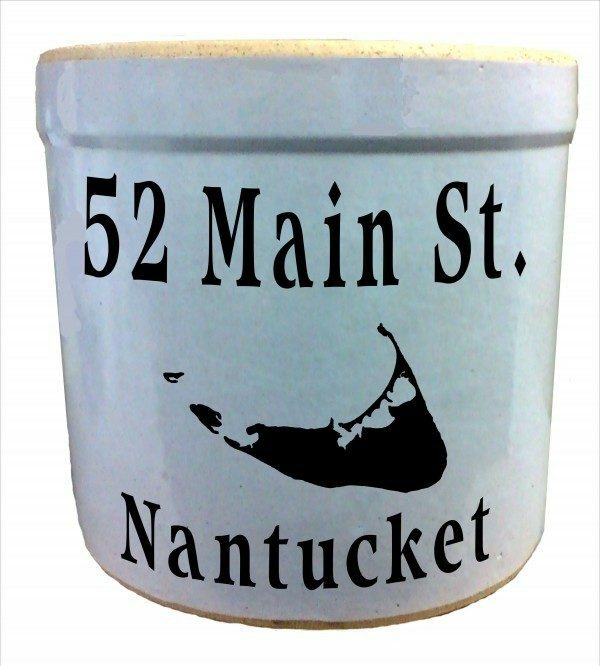 Use for planting, kitchen utensils, near the fireplace or on the front porch. 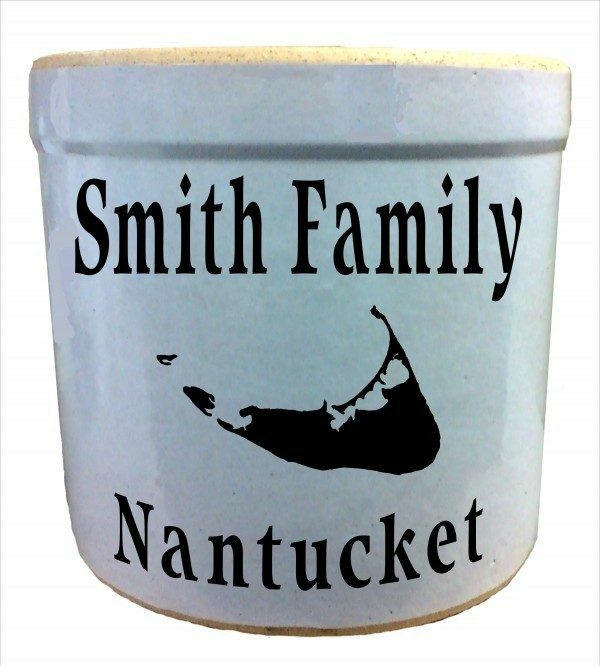 Personalize our exclusive Nantucket crock with your family’s name, house name, address, or business name. Up to 12 characters (including spaces) on the 1 gallon. Up to 18 characters (including spaces) on the 2 gallon and 3 gallon.